While humid day (too high humidity) can cause frizzy hair, more dandruff, or other hair problems – too low humidity can rub your skin (including scalp) of moisture. If your scalp is dry, it is unhealthy for hair growth. As a result, it may turn into shedding hair. The effect of low humidity can be more significant if you have dry skin. For instance, the skin of people with eczema is genetically more sensitive to low humidity. Their skin (including scalp) is likely to become very dry in the winter. In the cold days, the selling of heaters increases drastically. There are many types of heating units; portable, permanent installation, and with a number of different fuels to choose from (such as propane, electric, oil filled unit, geothermal, and so on). But all of these units can worsen the humidity, causing too low humidity. Stress can worsen lots of conditions, including hair loss. And in the cold days, you may be likely to lose control on your stress. Extreme weather can have some of the most damaging effects on hair. But in fact, people are likely to not have many precautions in protecting their hair when winter comes. It doesn’t matter whether it is autumn, winter, spring, or summer – your hair care practices can play a key role. The use of harsh chemicals should be avoided all over the year. Furthermore, it’s important to choose the right shampoo and conditioners that meet to your hair needs! Interestingly, winter is not always bad for hair! The opinion that scalp of head will get drafty in the cold days of winter is flat-out false! Even people may actually lose the least number of hairs in the winter, according to a 6-year research from the University Hospital of Zurich. Some experts suggest that a leftover evolutionary adaption may have a role, which varies from person to person. Simply, just look how thick Fido’s fur has in the winter. When you turn on a heating unit, use also a humidifier to keep the humidity level friendly to your skin and scalp. Your body, including your hair needs adequate nutrient supply all over the year. Make sure your get plenty of essential nutrients for your hair follicles. These include protein, minerals, vitamins … see more in here! Avoid any hairstyle products high in alcohol. Both low humidity during winter and alcohol can cause your scalp dry out more. Any products containing harsh chemicals must be avoided, too! The key point; the fewer chemical a hair product contains or the more natural it is – this means the better off your hair follicles will be! Choose the right shampoo and conditioner that your hair needs! This can vary, depending on the thickness and type of your hair. But in general, those that can help attract and hold more moisture in the hair should be on your top list. Control and manage your stress as well (see also the most effective stress reducers)! Use a blow dryer only when you really need it, this is particularly more important during winter! 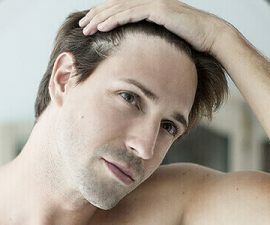 It seems that the weather (especially extreme weather, either too cold days of winter or too dry days of summer) does have an effect on hair follicles for some people, causing changes in shape or maybe hair loss. 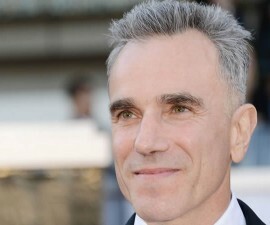 But mostly, hair follicles can adapt with seasonal changes. 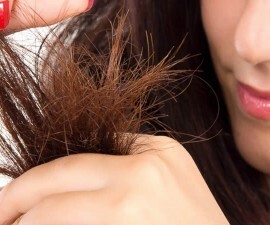 If seasonal hair loss does occur, this is usually not permanent. It’s so probable to expect a complete remission. And while the weather could contribute and play a role, don’t forget that there are also other contributing factors such as; the way of how you hair care practices goes (including your styling techniques), bad diet, high stress, increasing pollution, or even altered sleep patterns!